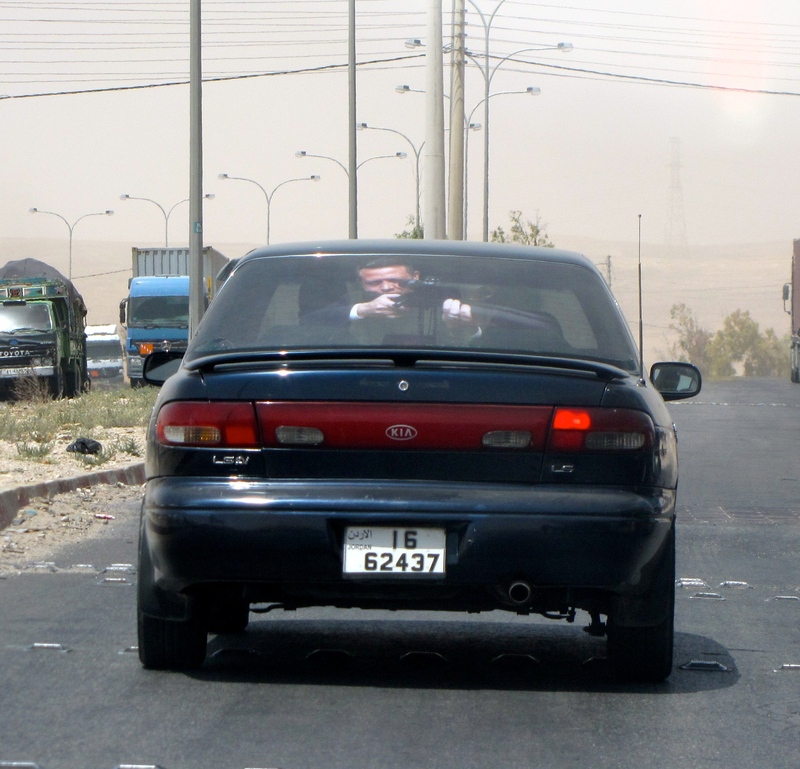 Americans put mini flag magnets on their bumpers, Jordanians put HUGE PICTURES of the King with a sniper rifle on their entire back windshield. Who wins the patriotism contest? Jordan. It is a little unsettling sometimes, because it looks like there’s a dude in the backseat about to put a bullet between your eyes. I still want one though, to add to my mini Jordanian flag in the front seat. There’s another version with the Jordanian flag billowing in the background on the left and then a big HAWK face on the right, so when I find that I’m buying it and then will take a picture of my car pimped out, Jordanian patriotism style. Posted on May 31, 2010, in Jordan, Living Abroad. Bookmark the permalink. 2 Comments. i like that you’re trying to become the most patriotic person in jordan. it’s a nice addition to your title as most patriotic person in new orleans, july 2008.